0.24 ACRES - Lot With Multi Level Areas ldeal for a Surfer Pad!!! This land is conveniently located between the beautiful beach known as Playa Hermosa on the Southern zone and the entrance of Punta Achiote, both are mayor surfing destination in the area. You can reach to any of these beach spots walking and it only takes you approximately 10 minutes. The lot offer a very useful terrain of about 1000m2 (0.24m2) and has a topographic layout that works to make a cabin in the upper part as well as a second cabin in the bottom. The lot has two important entrances and is just 2 minutes driving distance from the Costanera Highway and can be easily accessed by all vehicles. The land is surrounded by family oriented people and, is also very close to a river with many natural pools. 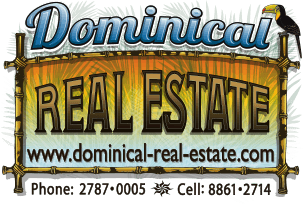 Uvita is located 10 minutes from this property and Dominical about 15 mins. ldeal for a surfer pad! !